What is Rapid Fire Mod? How do the different Rapid Fire modes work? What Games Is Rapid Fire Feature Compatible With? How do I program in my very own custom Rapid Fire speed? Rapid Fire mod turns virtually any semi-automatic gun into a fully-automatic gun. Basically, rapid fire pulls the trigger quickly for you. When you pull and hold the trigger, the mod takes over and presses the trigger quickly over and over again, until you release the trigger. Rapid fire is referred to in "shots per second", meaning, how many bullets you can shoot per second. Many different factors can affect the performance of your rapid fire controller, including your console (newer models have more power and RAM), the quality of your internet connection, and whether or not you are the current host of the match. 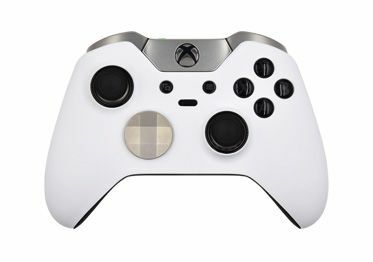 How do I sync my Xbox 360 360 controller to my console? 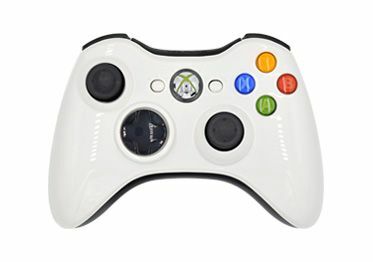 Turn your controller on and sync to your XBOX 360 console by pressing Sync button on both your controller and the console. 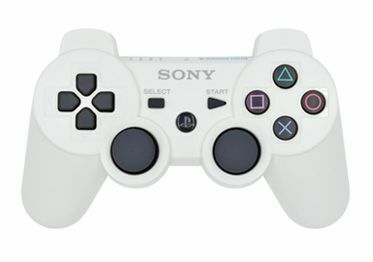 Player 1 LED on the controller and console will flash and stay on, indicating your controller has been synchronized. (You will only have to do the synchronizing procedure the very first time you use the controller. It will be synchronized to a console automatically once you power up the controller for all the other times). First you must turn the rapid fire on. To turn on rapid fire, hold the mod switch and then tap your right trigger (fire- weapon button). LED 1 indicator will glow RED. Then, equip your soldier with any semi-automatic gun. Once your soldier is equipped, press and hold your fire-weapon button. The modchip will take over and continue pressing and releasing your weapon button on your behalf. Your semi-automatic gun will now unload the entire clip on the single press of the fire-weapon button. Hold down mod switch on the back. Tap D-pad down button. First LED will turn OFF. Rapid Fire is OFF. 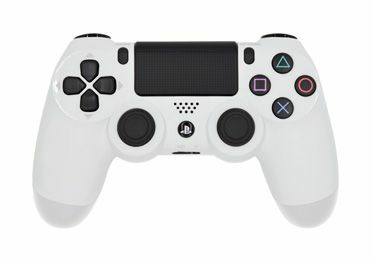 The controller can remember up to ten different rapid fire speeds. Each different speed is called a mode. The mod comes with ten default speeds, but once you get the hang of the controller, you can customize these speeds to your exact liking. When you are ready to change modes, start by turning on Rapid Fire. Then, hold the mod switch and hold down the right trigger (fire-weapon button). Continue holding until you see the LED 1 blink RED. Count the number of blinks. Let’s say you want to go to Mode 5. Then you should release the buttons just before the mod is done blinking 5 times. The mod will save your selection even after you power off your controller. It's also important to know that the software developers for each video game may have set a universal speed cap. The cap is different for every game. If you try to dial in your rapid fire speed above this cap, your gun will actually shoot slower, or not shoot at all. Always try starting out at a slower speed and increasing your speed in small pieces. For example, start out at a low speed such as 6 or 7 shots per second, then increase by 0.5 shots-per-second until you feel that the gun is starting to "sputter" or slow down. Once the gun starts sputtering, you are probably reaching the game's speed cap. Rapid fire controllers are designed to make semi-auto or "single fire" guns shoot as fully-automatic guns. While rapid fire will not usually make a full-auto gun shoot any faster, rapid fire can have positive side effects on full-auto guns - such as eliminating recoil (especially in Rainbow 6 FPS games! ), or helping you conserve ammo on full-auto guns to help achieve more headshots. 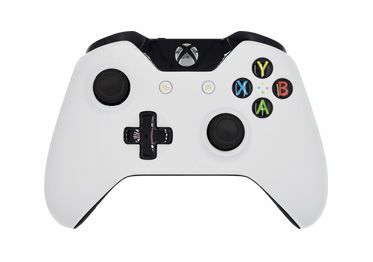 Rapid Fire controller is compatible with all first person shooter games on the market such as Call Of Duty Black Ops 3, Advanced Warfare, Ghosts, Destiny, Battlefield 4, Hardline, Titanfall and others. You’ve mastered the use of rapid fire and you’re ready to dial in your own custom speed in shots-per- second. First, turn on rapid fire and scroll to the mode you would like to edit. Tap the right trigger (fire-weapon button). All four LED’s will blink in RED to let you know we’re going to start programming the rapid fire speed. Let’s say your speed started at 6.5 shots per second. The mod will blink the “tens” digit on LED 1. In this case the tens digit is 0 (since you’re at 6.5 shots, there’s no digit in the tens place). The mod will do a very quick flash to indicate a “0”. Now you can tap the left trigger to decrease the tens digit, or tap the right trigger to increase the tens digit. The mod will blink to let you know what the current number is. When you’re happy with the number, tap the mod switch to move to the next number. Now we’re at the “ones” digit and they will blink on LED 2. Follow the procedure from above; tap the left trigger to decrease the ones digit, and tap the right trigger to increase the ones digit. Tap the mod switch to save that digit and move to the decimal place. Lastly, we’re at the decimal place. Follow the procedure from above one last time; tap the left trigger to decrease the decimal, and tap the right trigger to increase the decimal. Tap the mod switch to save your selection. The mod will blink all LED’s in RED three more times to let you know that your new speed was saved.